Jem's best friend is gone. 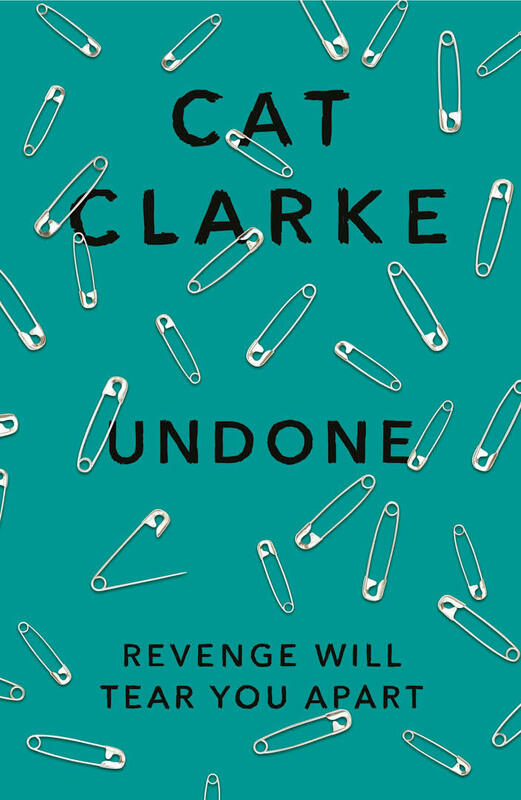 Now she wants revenge... A thrilling story of love and death for fans of Paula Hawkins, Gillian Flynn, Megan Abbott and Jandy Nelson. Jem Halliday is in love with her gay best friend. Not exactly ideal, but she's learning to live with it. Then the unspeakable happens. Kai is outed online ... and he kills himself. Jem knows nothing she can say or do will bring him back. But she wants to know who was responsible. And she wants to take them down. This may be embarrassingly literal, but hey, listening to it on repeat got me through the first three months of writing the first draft. It’s a cracking song, too, and one I still listen to on a regular basis. 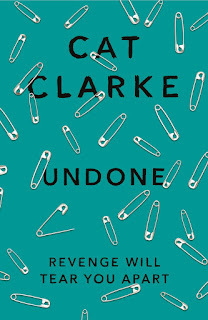 Undone is the third offering from author Cat Clarke and it is just brilliant. I don't think I have the words to do justice to how good this book was but I'll give it a go. Undone is the story of Jem. Jem is in a bad place. She has been in love with her best friend Kai for as long as she can remember even though he was gay. She was able to live with it but when he's outed in a video on the Internet and he can't deal with it and kills himself and suddenly Jem's whole world falls apart. Jem is practically at the point of being completely catatonic when she is visited by Jem's sister who gives her a series of letters from Kai, one of each month of the next year which gives her a reason to live again and the opportunity to get even with the group of popular kids she holds responsible for Kai's suicide. Jem decides the best way to get back at those responsible for the death of Kai is to infiltrate the popular group and take them down from within. She changes the way she looks and dresses, makes friends with the enemy and starts to date the most popular boy in school. For me it was fascinating to see the transition Jem has to make to get in with the popular crowd. It said a lot about how fragile the system of popularity within a high school system actually is. The book also really highlights the devastating way in which discriminatory bullying can affect the life of a young person and how easily someone can ruin the life of another with a few choice words or put downs. Another way in which this book really hit me was the way which you really get under the skin of Jem. You really get the sense as a reader of how emotionally raw she feels as it oozes off the page and hits you full in the face. I just found myself wanting to pick her up and do whatever possible to make everything ok again. The ending of the book is really poignant and is guaranteed to leave you a emotional wreck. Perfect and heart breaking at the same time. I pity the book I read next because there is no way it will compare to undone. A brilliant read which I cannot recommend highly enough.